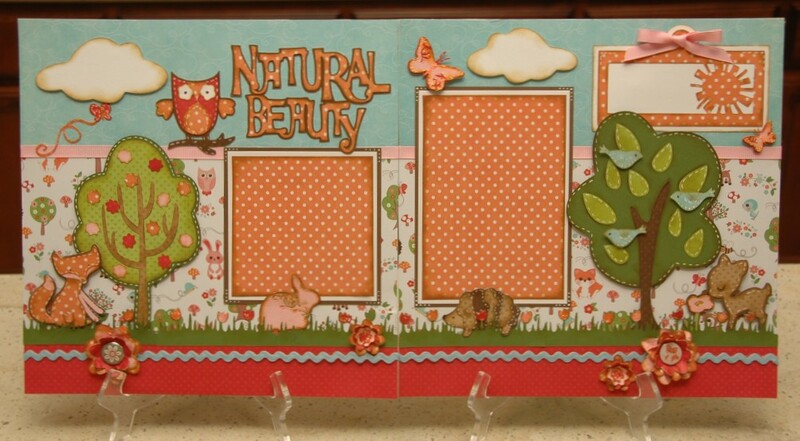 As promised, here is our newest layout kit - "Natural Beauty", which was designed by Nana Susan. Isn't this just so colorful and happy? So perfect for your bright and cheery Spring pictures. To order, just email me at moniquegriffith@yahoo.com and include your state and preferred payment method (PayPal or check). See details below. And don't forget to leave a comment for Nana Susan so you can be entered to win this week's blog candy - the Paisley cart!! 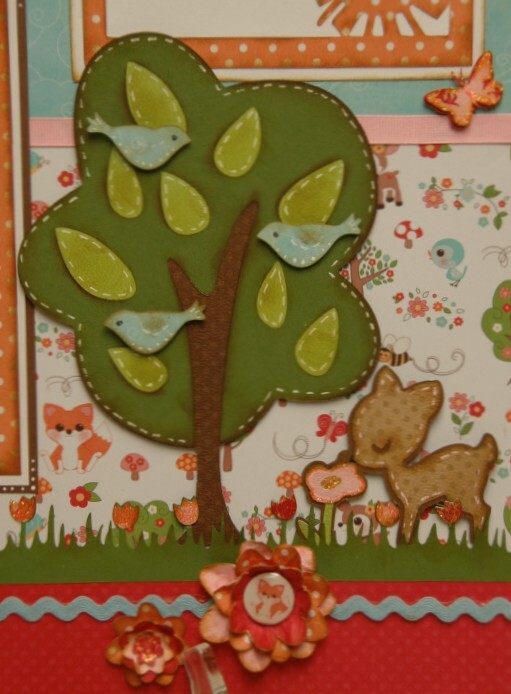 Included with this kit, you will receive all of the patterned papers, cardstock, ribbons and brads needed to make the layout. And as always, you'll get our detailed directions with Cricut Cut Chart. Plus there are well-organized written instructions and plenty of color photographs. The full kit is $25, or you can order just the directions for $10. Shipping is available, and is $5 in California or $6-$9 in the rest of the US, depending on location. I'm happy to combine shipping, and we do have several other kits available. This kit will ship out on February 25th. 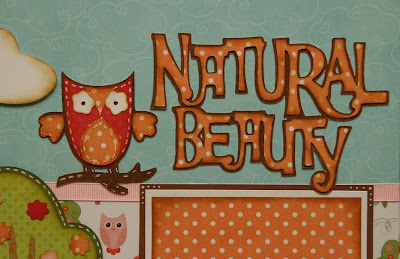 Supplies you'll need to create this layout as shown: Cricut Expression and mat, Give a Hoot cartridge, brown chalk ink, 3D pop-dots, white gel pen, mini glue dots, Diamond Stickles, Tropical Tangerine Stickles (optional), plus basic tools and adhesive. If you have questions or would like to order this kit, please email me at moniquegriffith@yahoo.com. If ordering, be sure to include your state so I can calculate postage, and your preferred payment method (PayPal or check). If you have already ordered the Rock Princess "Tuff Girl" kit or the "Rainy Day" kit, this new kit will be shipping at the same time, so I can combine shipping. Thanks for stopping by today! Now go be creative! Btw, we are working on bringing a shopping cart system to the website to make ordering much, much easier! It's about time! Love the layout! 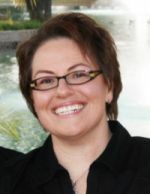 Your blog is my favorite! so loving this. Can hardly wait for it to come. Keep em coming.... at a healthy pace. How adorable! 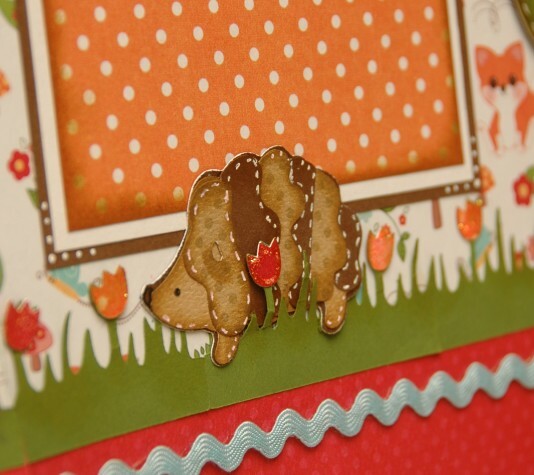 I really love the orange and white dotted paper mixed with the critter paper. The hedgehog is my favorite. very cute!! keep p the good work! This is gorgeous! I love the little hedgehog! The amount of talent your family is awe inspiring! Beautiful LO, Nana Susan!! I LOVE IT!! The colors and prints coordinate sooooo well! Simply Stunning! Beautiful layout. I love the little animals. We (my son is sitting with me) like your pages--they are very cute! The little animals are very cute! Those animals are too cute! Thanks for all the great ideas! Adorable!!!!! Can't wait to order it. Thank you so much for sharing. OOOOOOOO! Nana Susan has done it again!!!! This layout is absolutely ADORABLE!!! Can't wait to get my hands on one!!! I love the layout Nana Susan! It truly does look like spring! My favorite part is the little hedgehog! Thanks for sharing! Nana Susan, Great job on the layout! Such a talented family, Monique! You are truly blessed, my dear! Love all the detais....with your talent we are so inspired! I love this page and it is versatile too. There are only boys in my family so just changing the title to Happy Easter or Happy Spring will make it great for them too. Adorable layout! Love the colors and all the little creatures! 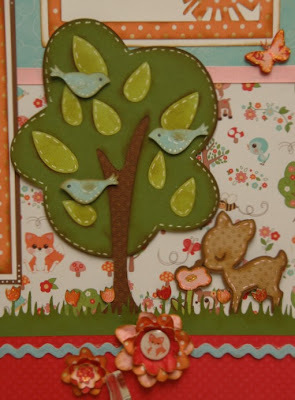 Love this colorful layout - I am sooooo ready for Spring after all the snow/ice we've gotten here on the East Coast. Thanks for cheering me up today - just sad I don't have this cartridge so I can't make it - at least not yet!!! Love this kit, I am getting very tempted! Wow, this is amazing! Gorgeous layout! Love this LO. Thank you Nana Susan for sharing your creativity. Every kit I see makes me want to get the cartridge to go with the kit. I guess I'll be needing a 3rd job. Keep you the good work. God Bless you all. Nana - Great layout - love all the detail. Loveeeeeeeeeeeee it!!! 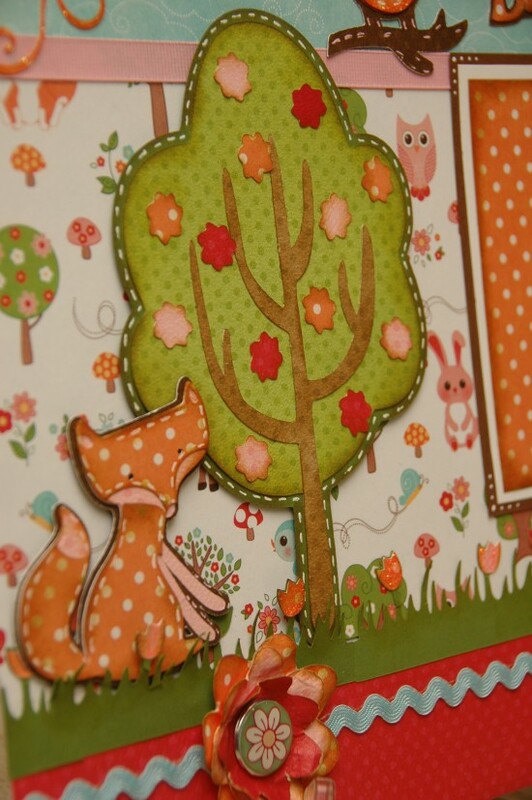 You are so awesome ~ that Spring layout is to die for!!! Love the layout!! It is just makes you happy looking at it!! She did a great job! 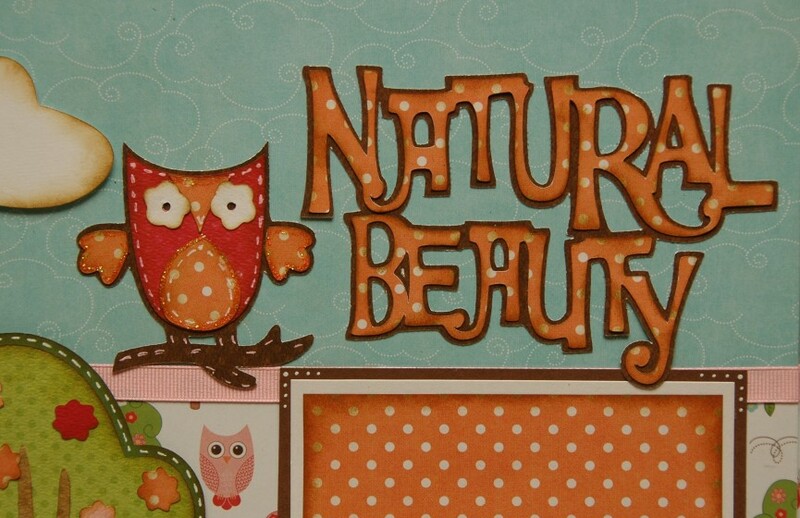 Your layout is beautiful Nana Susan! I don't have this cartridge but I'm thinking I need to get it soon! Gorgeous Susan! I really love htis layout! I love all your layouts!!!!!!!! !And how you coordinate the paper impresses me-especially because I stink at it. Thanks ladies for your kind comments. This was a fun one and a must have cartridge. There is so much more on it an other wonderful titles. 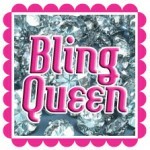 I just discovered this site, wasn't aware that kits for the cricut were available. I just love all of them. going to order the Natural beauty, hope I can make it look as good as you have. What a great layout! I have this cartridge and never realized what great layotus I could be making. Thanks! I love this lo...as always! You are so fortunate to be a part of such a talented family. Thanks for sharing it w us!! !